There was a former soldier, now a homeless man, who used to come sometimes into the back of our church in Cambridge. Dressed in camouflage and carrying an imaginary rifle he would squat behind the pews, take aim at the pulpit, or edge his way round the side of the church, clearly frightened and looking for cover. We knew he was reliving things we could scarcely imagine and we did our best to calm him and make him feel welcome (as well as dealing with the alarm he sometimes caused to members of the congregation.) It was meeting with him, and other former soldiers like him, that led me to write this Sestina, which is part of a sequence called ‘Six Glimpses’ in my book The Singing Bowl. As a form, the Sestina insists that the poet return again and again, but in a different order, to the same six words with which the first six lines of the poem end. Of its very nature this form explores, repetition, return, trappedness, circularity, the very things with which so many soldiers with PTSD and their families are having to deal, so it seemed the right form to try and express a little of what I could see. I post this now so that we might remember, pray for and find ways of helping those who have been through the trauma of battle and cannot find their way back into ‘normality’ yet. I hope and pray that as awareness grows there might be more in the way of help and counselling provided both by the Military and the NHS, and perhaps more understanding from the general public. Crackling and flashing in his head. Are burning too and screaming out his name. Nor can they ever resurrect the dead. That post-traumatic stress need cause no shame. The army gave him time for a short break. Who always stemmed the panic, kept his head. Stuttering guns that shake with him in shame. And his address. He only knows the dead. His sleep. They keep him under constant fire. And every poppy burns with hopeless fire. I hope the man gave his permission for you to mention him in your email. Whether or not , it’s a good poem. Thankyou. Beautiful hommage to a wounded veteran. Beautifully captured. In San Diego we are surrounded with burgeoning homelessness. 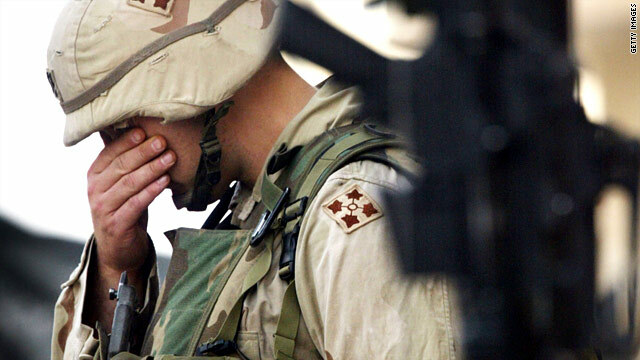 My heart breaks for our troubled veterans and the stories which repeatedly reverberated in their heads. Malcolm, thank you for this! Over here, we call today Veterans Day. (I know you have a similar observance but don’t recall if you use that wording.) For those of us whose relatives and ancestors have fought for freedom (often beside their fine British counterparts), yours is a particularly lovely tribute. PS – I always read everything you write, my friend, even if I don’t comment on it :). Such a moving and vivid portrayal of PTSD aa d it’s effects on both soldier and the wirld around him. I pray ’your’ wounded soldier has found peace somewhere. Thank you for this wonderful, deep piece of writing. A masterpiece! Thank you for I too had to return and read again and again. A prayer for the day when weapons are turned into plowshares and pruning hooks, neither shall they learn war anymore. Really beautiful but so thought- provoking. Thank you for making me pause and ponder. Powerful, thanks. I know that folk at my dad’s church in Lymington tried to help an ex serviceman too, we clearly need to look out for them & help as we can. Also, over the Armistice weekend I had my three spoken word ‘Gritty Remembrance’ reflections broadcast on BBC Radio Leeds and Pulse 2 in West Yorkshire. Words & audio posted on my blog. Your poems are often an inspiring & calming way to start an office day, thanks.